Computer vision, deep-learning, and e-commerce: how these three things are interrelated and why. If you have an online store you’ve probably searched for various ways to improve it. While doing so you may have come across terms such as artificial intelligence or computer vision, or maybe you’ve even encountered the term deep learning. You might ask yourself whether these things are even useful to your business. Nevertheless, even when they appear to be unrelated, the truth is that they are related to e-commerce. 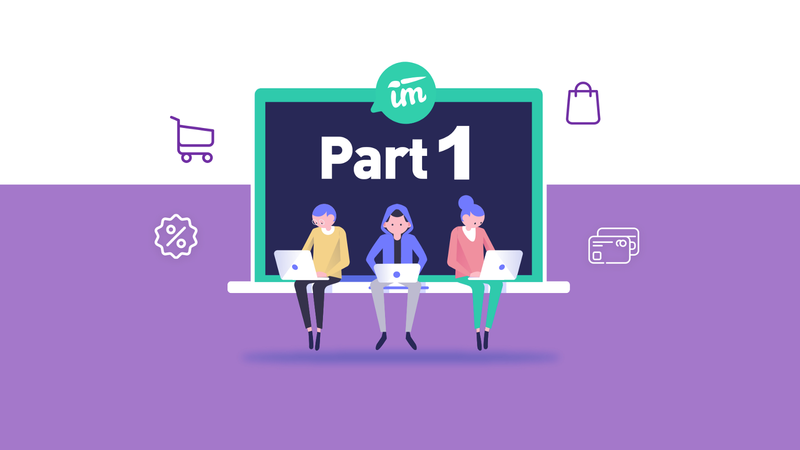 In fact, they emerged as tools to reshape it, giving customers an online shopping experience that matches their experience in a brick-and-mortar store. In order to help you discover the ways in which computer vision and deep learning are related to e-commerce, it’s essential to go over the concepts first. So in this article, I’ll focus on explaining the basics. Let’s start with computer vision. Computer vision encompasses the idea of teaching computers how to see as human beings do, so not only capturing images but interpreting them, too. One typical example of a problem solved by computer vision is classification, where researchers in the field define a set of classes or groups they wish to distinguish, and they create an algorithm that takes an image and assigns it one of the classes. The idea is to create an algorithm that takes many images and makes as few mistakes as possible. 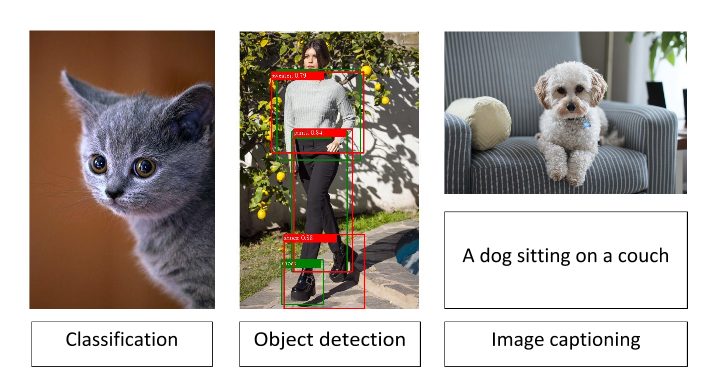 Other examples are object detection which consists of finding all the objects from a set of classes in an image, and image captioning, which consists of automatically describing an image. The field of computer vision was launched in the 1960s when Massachusetts Institute of Technology (MIT) student Larry Roberts wrote his Ph.D. thesis on the possibility of extracting 3D information from 2D views (the 2D views didn’t represent objects from the real world). This fact led to an explosion of research in the MIT, so that finally in 1970 a course on machine vision was introduced by the artificial intelligence lab at MIT. Researchers began to tackle images from the real world, which then led to further research in the so-called “low level” areas, such as edge detection. “From the paradigm created for us by Marr, no one can drive us out ”. Later, in the 1980s computer vision started to take off from the world of research. It is in this decade that optical character recognition (OCR) techniques were born, and some industries began seeing the importance of them for character verification, or to read numbers, for example. In the 1990s computer vision systems became more common, leading to a drop in the price of such systems. Nowadays computer vision encompasses a high variety of methods and algorithms, and also a wide variety of uses, from robots to security, graphics, and self-driving cars, among others. The story doesn’t end there, however. Back in 2012, computer vision and deep learning began to merge, but I’ll leave that story for the next article. For now, be aware that computer vision is being used all the time by people around the world, including you!. If you’re not sure just open the camera app in your phone and point it at someone, you see that rectangle around the person’s face? Well, that’s an everyday use of computer vision for you. Huang, T. (1996). Computer vision: Evolution and promise.